Pleasant Company Games | Developer and publisher of tabletop and mobile games. Pleasant Company Games – Developer and publisher of tabletop and mobile games. Once again, our team was back, deep in the recesses of Hall 4 at the Spiel 18, in Essen Germany. A great show was had, with new players being introduced to the worlds of Pleasant Co, and returning fans getting a chance to have first peek at our upcoming project, The Dead Eye. There were also a few Kickstarter pick-ups from our recent ATT: AwakeTen campaign, the unveiling of a mini-expansion for Konja, and some mad scribblings by the artist. Thanks to our team, Adhil, Loredana, Julia and Rob for explaining, smiling and playing. Pleasant Company Games and Red Box Editora are excited to announce that the production of the Portuguese version of Ancient Terrible Things has commenced with our manufacturers, Panda Game Manufacturing. This new language edition will be available exclusively through Red Box Editora. We are thrilled to see the world of Ancient Terrible Things come to the shores of Brazil, a country steeped in pulp novella lore and adventurous tales of the Amazon river. 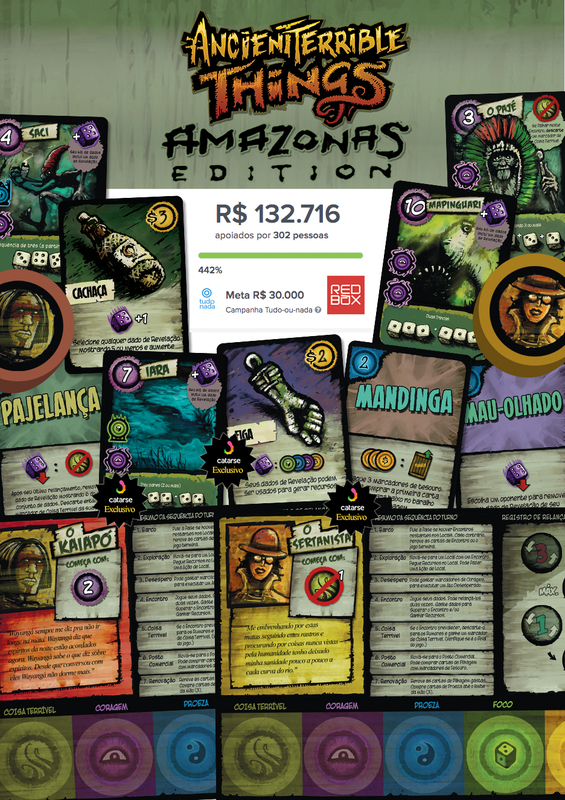 As part of Red Box Editora’s very successful Catarse campaign in 2017 (Catarse being the Brazilian version of Kickstarter) we have been working closely with the team at Red Box Editora to create some unique and exclusive Ancient Terrible Things content for their Catarse backers. Additionally, as part of the stretch goals of the Catarse campaign, Red Box will be publishing the first localized version of our latest new expansion, Madness of McGuffin, which brings in new game mechanics as found in our latest Dicequest game, Konja. This panel will take you through the process of creating a new board game from start to finish. The artist will talk about his creative process and show the evolution of the final artwork, from early sketches through to print-ready art. Pleasant Company Games is excited to announce our latest tabletop game project coming to Kickstarter in 2019. 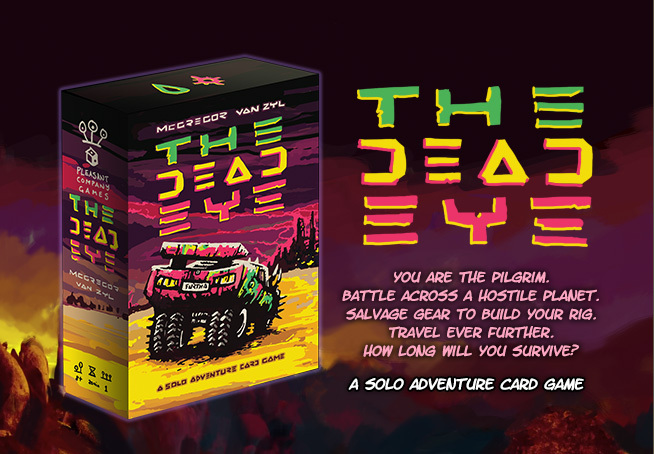 The Dead Eye is a solo survival adventure card game, set in a cosmic post-apocalyptic world.